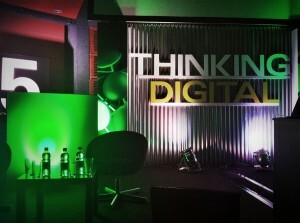 Thinking Digital 2012 – It just works. I find the best way to approach any conference you plan to attend is with low-to-no expectations. Especially if like Thinking Digital it has a track record of being bloody good. With so many people complaining of being strapped for cash this year I would not be surprised if the same wasn't true for sponsors and organisers. So I figure, if you dial down your expectations you are easily pleased … [Read more...] about Thinking Digital 2012 – It just works.